LOS ANGELES (May 23, 2018) – The Alliance for Women in Media Foundation (AWMF) handed out the 43rd Annual Gracie Awards at the Four Seasons Beverly Wilshire Hotel in Los Angeles. 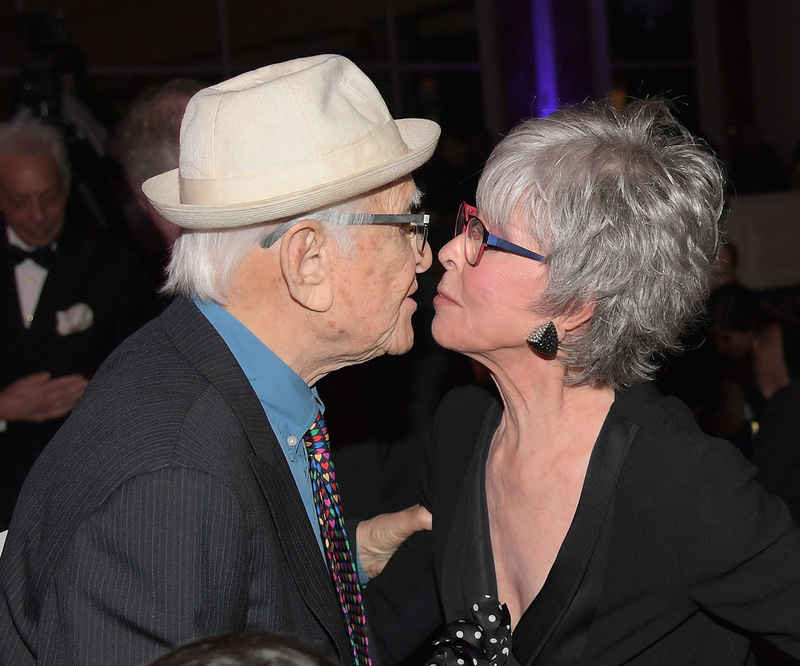 Host Lisa Joyner led the evening which included the presentation of the Lifetime Achievement Award to Rita Moreno by Norman Lear and a special performance by Grammy-nominated country music singer Kelsea Ballerini. The Gracie Awards, which each year celebrate programming created by, for and about women across radio, television, cable and interactive media, hosted attendees including Megan Mullally, Nick Offerman, Jon Cryer, Pam Oliver, Elizabeth Smart, Loni Love, Shaun Robinson, Jeannie Mai, Gabrielle Dennis, Kevin Burkhardt, Erica Hill, Toni Trucks, Mary Louise Kelly, Robin Thede, Zerlina Maxwell, Jessica McIntosh, Tracey Wigfield, Shirley Strawberry, April Ryan, Rachel Nelson, Whitney Allen, Paula Malcomson, Jill Schlesinger and more. This year’s social media ambassador was Sweety High host Cassie DiLaura and the ceremony was executive produced by Vicangelo Bulluck. To view complete list of award recipients and honorable mentions, visit allwomeninmedia.org/gracies/award-winners. The Alliance for Women in Media Foundation (formerly known as The Foundation of American Women in Radio & Television) supports and promotes educational programs, and scholarships to benefit the media, the public and allied fields. The Alliance for Women in Media Foundation has created partnerships and joint initiatives with the Emma Bowen Foundation, NCTA, NAB and other organizations that are philosophically aligned with the mission of the Foundation. In addition to giving $20,000 a year away in scholarships to deserving female students, the Foundation also produces nationally acclaimed recognition programs, including the Gracie Awards that honors exemplary programming created by, for and about women. 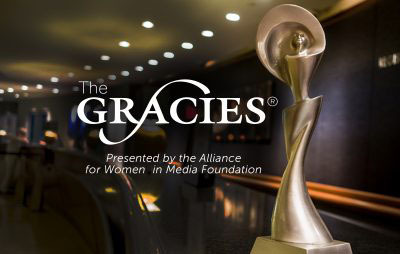 For more information about The Alliance for Women in Media please visit their website at allwomeninmedia.org and follow them on Twitter (@AllWomeninMedia), (@TheGracies), (#TheGracies) and Facebook. Sponsors of The Gracies include Ford Motor Company; Beasley Media Group, Big Time with Whitney Allen, Crown Media Group, CNN, CBS Corporation, Cumulus Media, Discovery, Inc., Entercom, FOX Sports, Katz Media Group, NCTA – The Internet and Television Association, Netflix, NPR, Premiere Networks, Sinclair Broadcast Group, SiriusXM, Sony Broadcast Television, Sun Broadcast Group, TBS, TEGNA, Universal Television, vCreative and VICE Media.